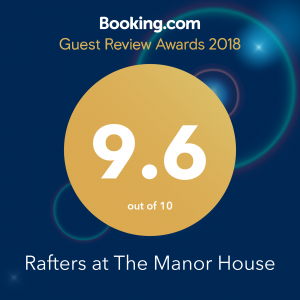 We are delighted to announce that our holiday apartment, Rafters (sleeps 2) at The Manor House, has won a a 2018 Guest Review Award from Booking.com for maintaining our high standards for another year. 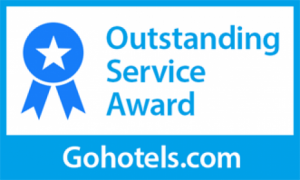 We are very proud of our 9.6 rating and thank our guests who stayed with us in 2018 and left a review of their stay and we hope that you will return to stay with us again soon. 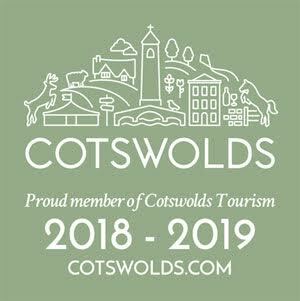 We look forward to welcoming our returning guests and all our new guests to stay with us in 2019. For more information and photos of Rafters click here. To book Rafters for a short break or longer please contact us either by email or telephone 01386 852913. 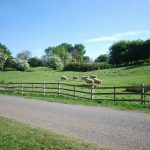 Are you looking to spend Easter Weekend in the Cotswolds? 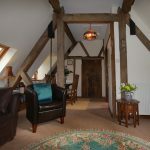 Look no further than our award-winning, romantic one bedroomed apartment Rafters (sleeps 2) at The Manor House, West End. 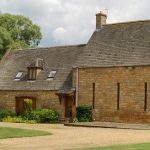 Rafters is available this Easter 2018 for a short break in the beautiful Cotswold village Broadway or stay longer and enjoy all that the Cotswolds Area of Outstanding Natural Beauty and the villages and towns of the Cotswolds have to offer. 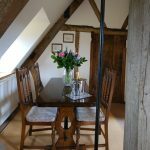 Fully self-contained on the first floor of a Cotswold Manor House that dates back to the 16th century, Rafters is an ideal base for a weekend away in Broadway. Rafters sleeps 2 in a double bedroom with en-suite bathroom (bath with over-bath power shower), fully equipped kitchen area with electric fan oven, hob, microwave and fridge and a spacious open plan vaulted sitting/dining room with original oak beams and views across the surrounding grounds towards Broadway Tower high above Broadway. Rafters is warm and welcoming with its own gas central heating, free WiFI and parking. 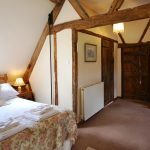 Rafters is ideal for a relaxing break away. Guests are invited to enjoy the surrounding grounds of several acres during their stay. 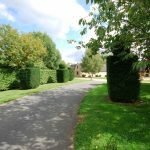 A footpath leads from the bottom of the grounds across the brook to the centre of the village of Broadway with its wide range of independent shops, excellent restaurants, pubs and galleries. 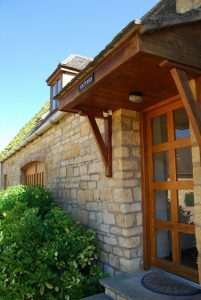 Rafters is also an ideal base for those who enjoy walking: The Cotswold Way National Trail crosses the neighbouring field and there are a number of footpaths in the area to explore the beautiful surrounding countryside. Rafters is available over Easter 2018 for a 3 night minimum stay at the rate of £375 inclusive of all bedding, linen, electricity and gas or £500 for 7 nights . Mention this blog post and receive a 10% discount. For more information or make a booking contact us by email or telephone 01386 852913.